Based on the classic version, this Sonic the Hedgehog Boom8 Series Vol 1 Statue is sure to please fans! This classic character is featured in a shorter, fuller look than the modern Sonic. Full of speed and attitude, SEGA's mascot is depicted with a pointing finger attached to a round black base. 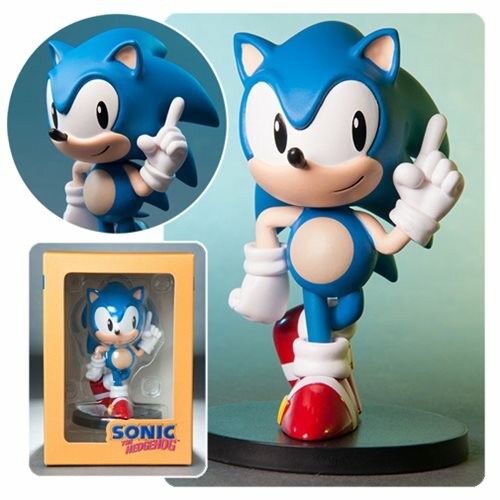 This Sonic the Hedgehog Boom8 Series Vol 1 Statue measures about 3-inches tall x 5-inches long and comes packaged in a window box. Ages 15 and up.